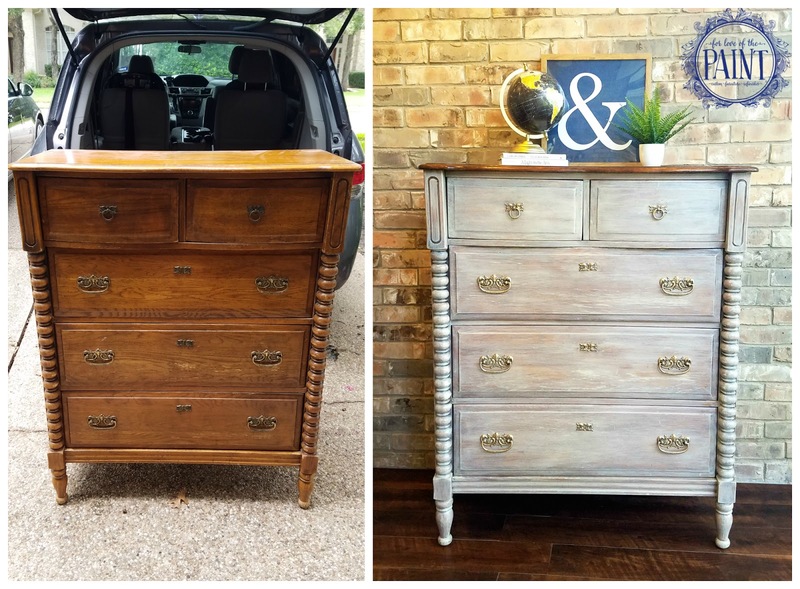 I'm a little behind on my website, so you'll see a lot of "Before and Afters" popping up here in the next few days (well, fingers crossed!). 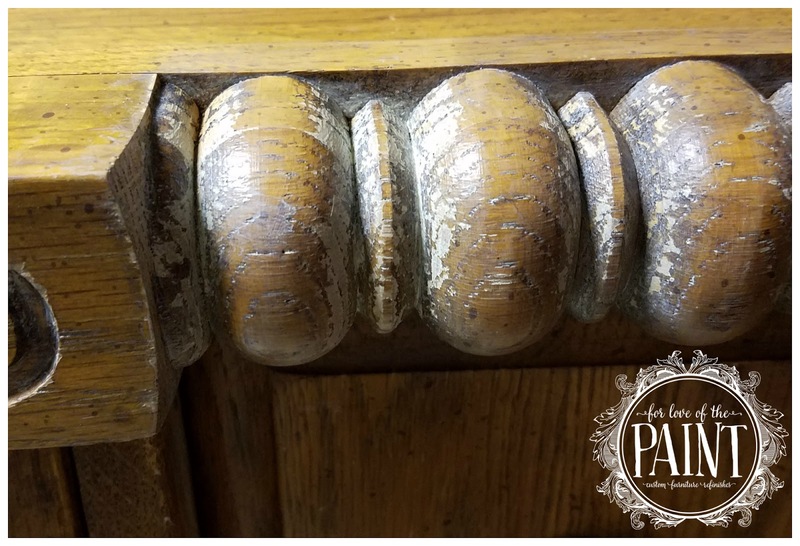 This beauty was a stunning vintage oak dresser that had small dings, dents, and character marks in the surface that I absolutely adored and hated to patch and cover up. 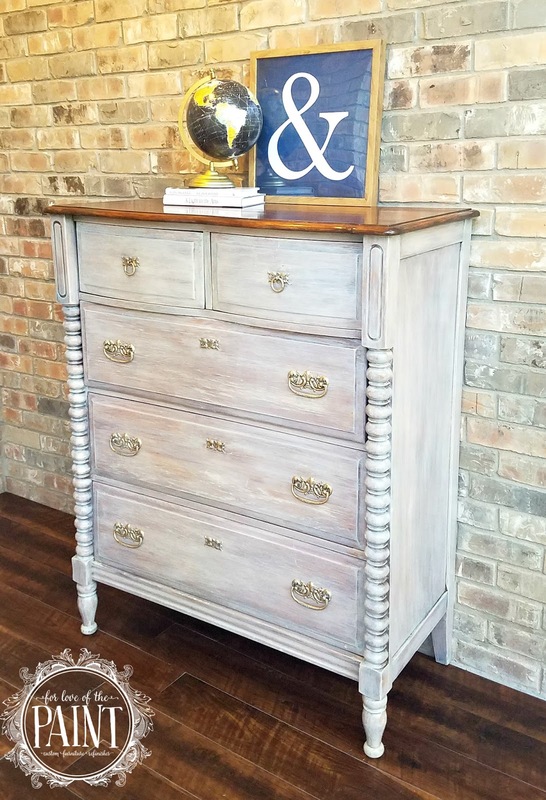 So instead, I used a transparent white wash with a custom Off White Gel Stain made by Pure Earth Paint that I was able to purchase from one of my friends - you may remember the custom rustic china cabinet refinish that we did with this same color. It was the perfect accent to all that fabulous vintage texture and character!! I also sanded the top to promote adhesion and used General Finishes gel stains in first Java and then Antique Walnut to update the 70's color finish. You can use various top coats on this - I ended up using a wipe-on satin polyurethane to minimize bubbling / brush strokes; the GF Arm R Seal is a great, super durable choice as well. For the body of the chest and drawer faces, I did a light allover sanding without entirely stripping the surface. I first painted on the gel stain and wiped it off with a clean, lint free rag (this gives a softer, more cloudy allover effect). After this dried thoroughly, I began to highlight areas with a dry - brushing. 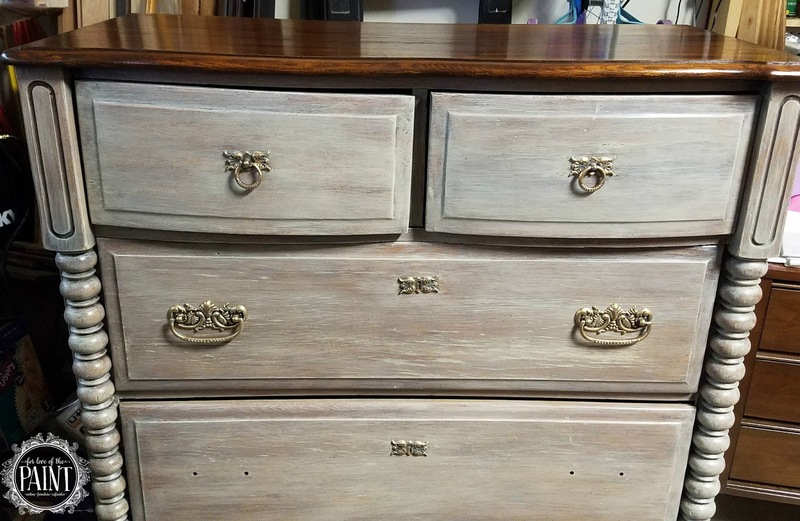 Although I first apply the allover technique and dry brush with the drawers out, I always put them back in for the final coat. It's very common to see inconsistency when you're working on each drawer separately, and when you put them back in, you can strategically apply your final dry brushing to ensure the amount of color is consistent and cohesive. Once it was all thoroughly dry, I sealed with General Finishes High Performance Top Coat in Flat. I tend to gravitate toward this sealant because it's pretty straightforward to apply - you can use a brush, and wipe with a lightly damp lint free cloth if needed, or use a sponge applicator. Just remember that if you're using it over paint, any sealant can deepen / intensify your finished look and *could* pull forward tannins if you didn't shellac or use a sealing primer (which I rarely do, unless under a solid bright white!) I generally roll with it and add a brown glaze if the piece calls for it, but shellac and spot painting is always an option as well. 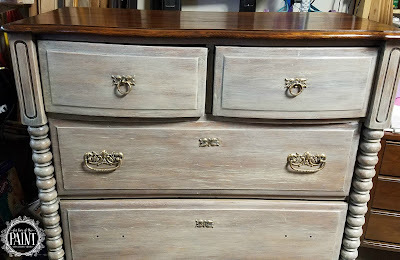 I first whitewashed the hardware, but was still seeing the two different tones of metal, so I topped it with a light application of Rub N Buff for consistency and dimension. I love love love this super rustic take, and am so glad I was able to enhance and embrace the original texture of this beauty! What is your favorite style - classic and clean, or rustic yet refined? I'd love to hear from you!